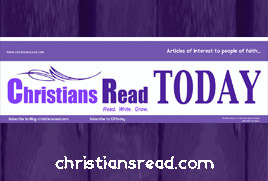 There is a “Latest Releases” Shop on the Christians Read Facebook Page for easy shopping. You can visit it HERE. Disclosure: Christians Read is a Special Project sponsored and funded by Vicki Hinze. A few cents per book on only those purchased through the Amazon store below goes to help fund this project. Your support is appreciated.